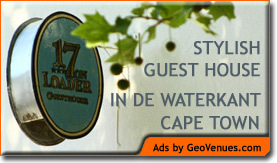 Owner managed – Riana + Charl invite you to share an unbeatable seafront holiday experience at one of the best Hermanus Bed & Breakfast locations. 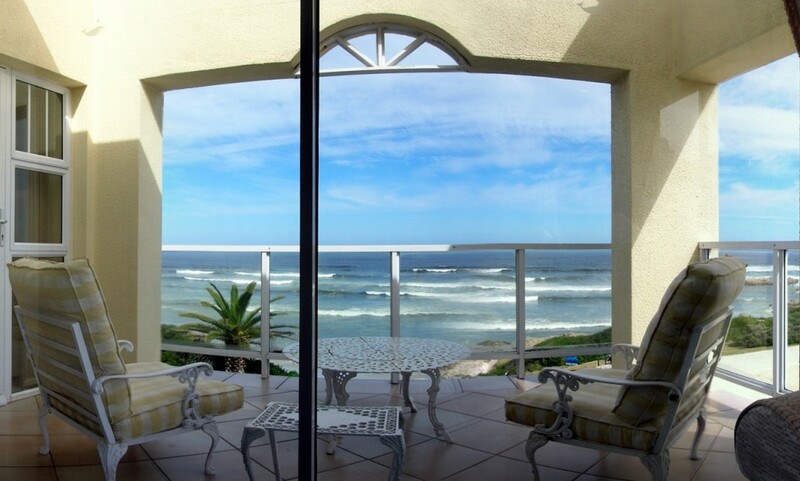 Our Hermanus Beach Villas promise luxurious 4 star accommodation close to the shoreline with sweeping views over Walker Bay & the Atlantic Ocean. Enjoy luxurious beach suites elegantly decorated and complemented by Riana’s hearty breakfasts and warm South African hospitality, truly a notch above the rest. Our beautiful seafront suites and double rooms, offer added luxuries such as heated towel rails, quality linen, satellite television and electric blankets in winter. From May to December it is possible to watch and listen to the Southern Right Whales blow and breach, either from the comfort of your bed, private balconies, or from the large main lounges, while enjoying a delicious breakfast. On rainy days you will be the only people in Hermanus to be able to view the whales from the comfort of your seafront accommodation! Visitors to Hermanus Beach Villa and Beach Villa II can choose to take a leisurely stroll on the scenic Hermanus cliff path that stretches for kilometers along the coastline, or hike on one of the several mountain trails in the Fernkloof Nature Reserve.